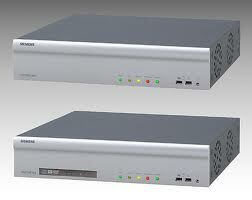 The MX hybrid offers 32 channels of recording, 16 analogue inputs and 16 IP camera inputs. Recording images at 500 IPS and capable of advanced pentaplex operation the Sistore MX hybrid is the ideal solution to help encourage end users to start to move towards IP camera solutions. Designed for use in a wide range of applications from shopping centres office blocks and industrial units this Hybrid DVR is certainly worth a look. 6 monitor outputs, alarm handling and activity detection are all features built in as standard. Perhaps though the seamless integration to the SiPass Access control solution is a benefit that will push people into buying into the Siemans brand as a complete security solution. Able to connect to both WAN and LAN the Sistore hybrid DVR is also an effective monitoring solution and with up to 4 TB of hard drive space. With a price starting around 5K this DVR will face plenty of competition from cheaper competitors, but as always we recommend quality over price every time. Experience tells us that cheap means trouble.You can get further details of the Sistore MX hybrid DVR by calling 01633487542 and a Siemens operator will be keen to help you. This entry was posted on Thursday, February 3rd, 2011 at 06:16	and is filed under IP CCTV. You can follow any responses to this entry through the RSS 2.0 feed. Both comments and pings are currently closed.